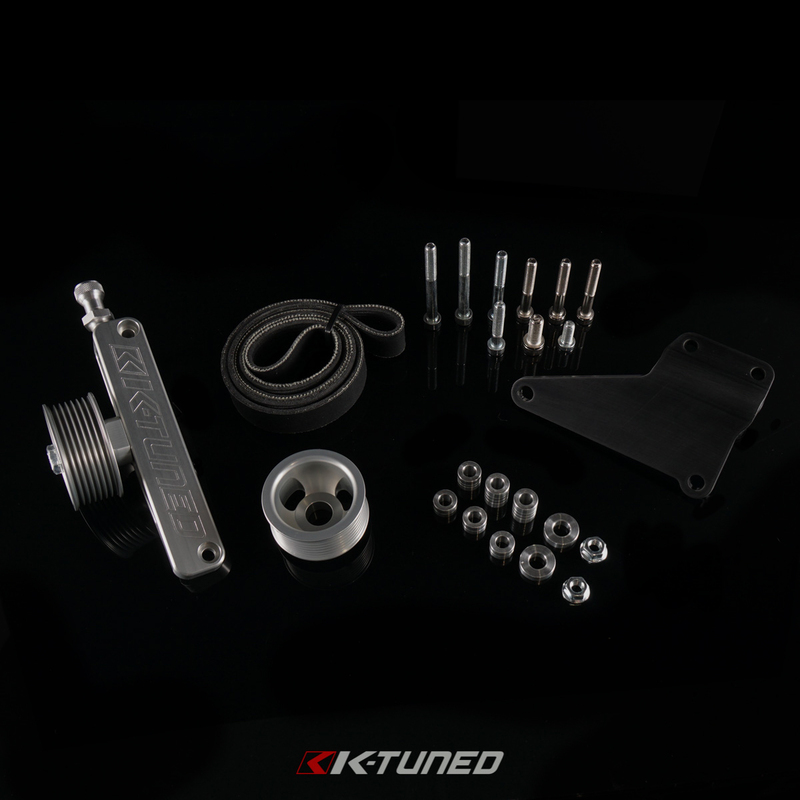 The K-Tuned A/C & P/S Eliminator Kit has been one of our best sellers for several years now. We are now releasing our 3rd revision of this pulley kit and again we have made a few changes to make our product even better. Taking a quick look back, we were the first company to offer this original design and we remain the only manufacturer that is using a dual pulley design that offers perfect belt alignment and stability, unlike some of the other the knock-off designs that are available. 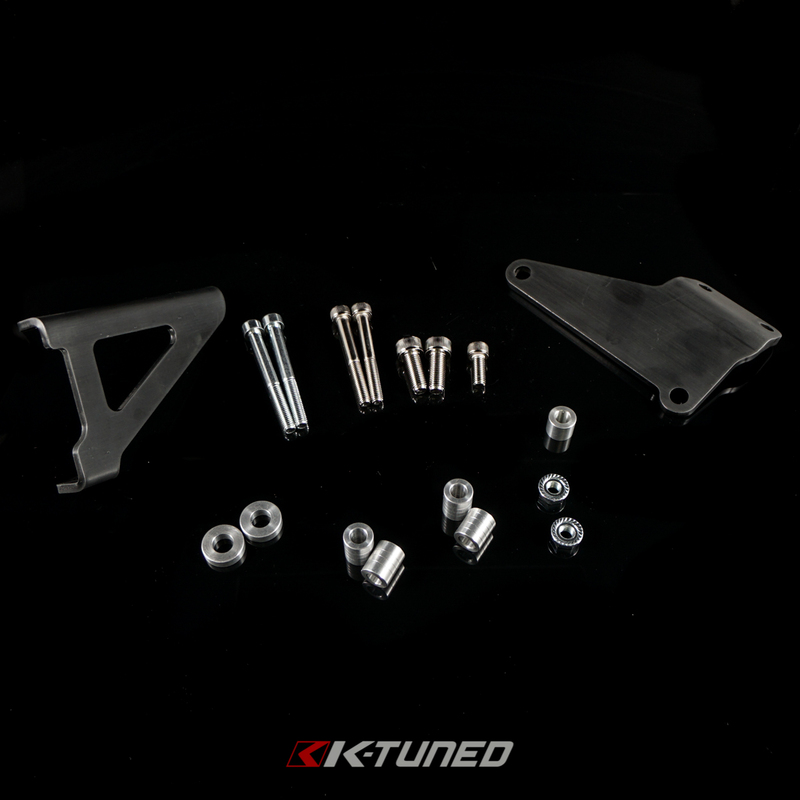 Another plus to our kit is that all the parts are constructed from billet aluminum, while others are still using cheaper plastic parts. 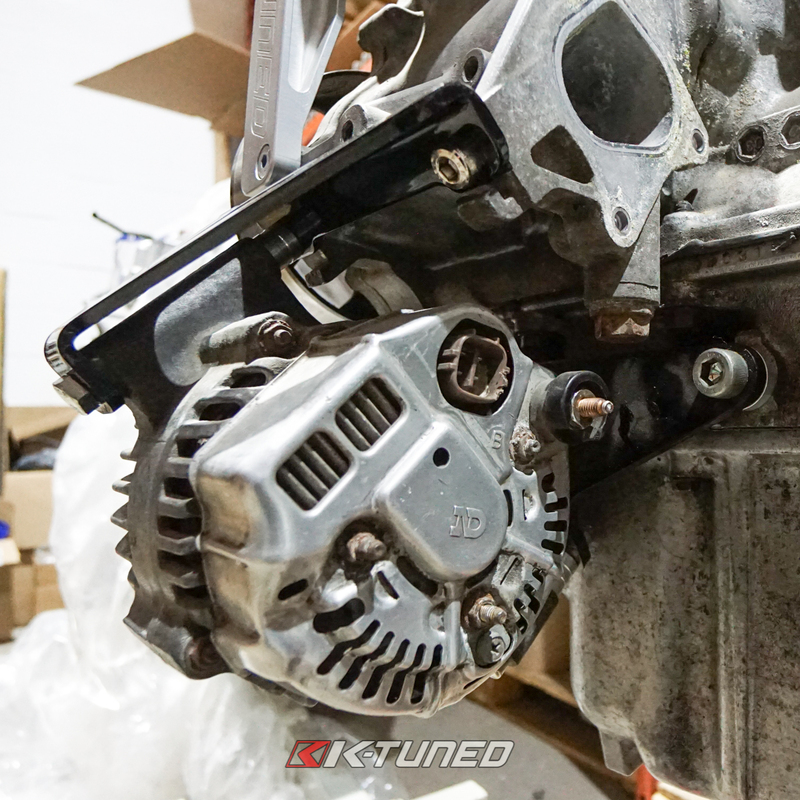 We always wanted to make our kit completely universal and have it setup to work with a 7-rib belt, just like oem. We are now pleased to say we did just that. The problem we had in the past was accessory belt manufacturers simply didnÍt carry the belt size that we needed. To solve this issue, we had a stronger, custom length 7-rib belt made specifically for our kit. This move finally allowed us to make our kit 100% universal. 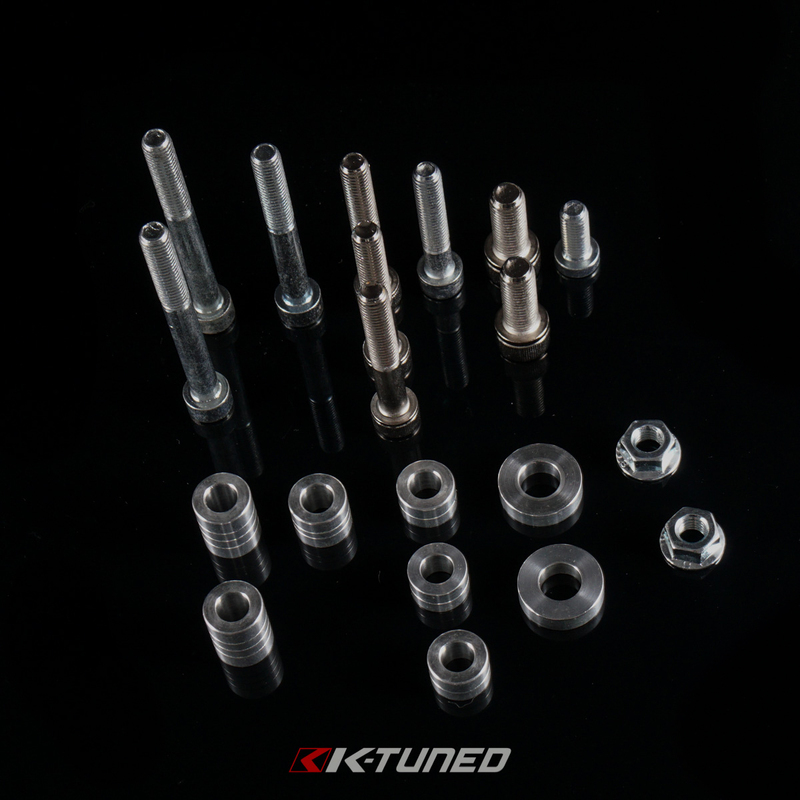 So now, if you have a K20, K24 or even an engine that is put together with a mix of parts, there will be no fitment issues at all, they can all use the same kit. 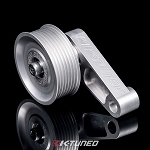 The K-Tuned A/C & P/S Eliminator Kit deletes A/C, P/S and the factory belt tensioner from the engine. 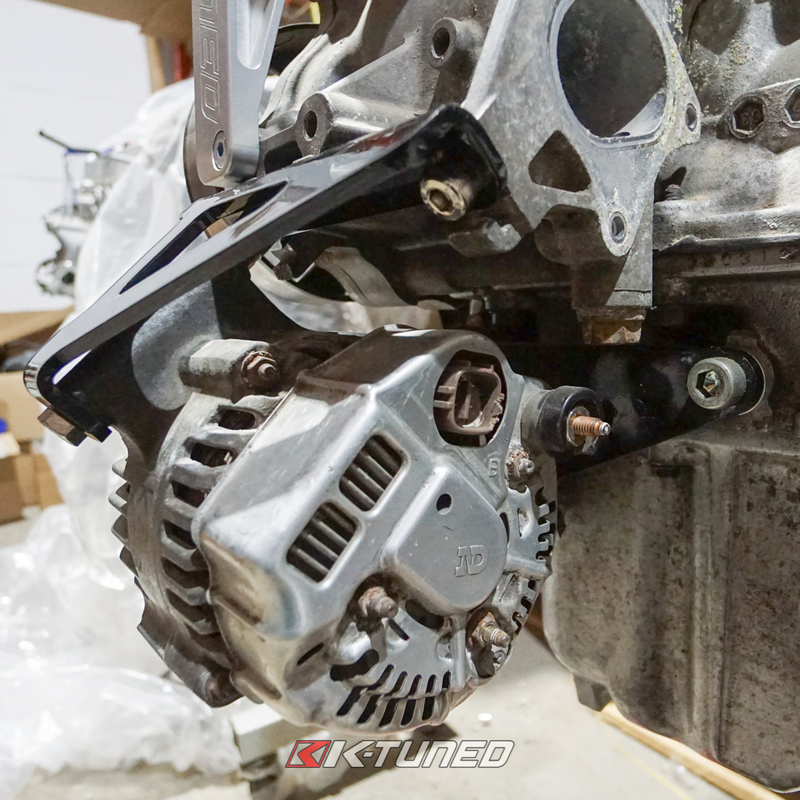 The alternator is then relocated lower and moves to the original A/C location, to increase clearance on even the tightest K-swap chassis. 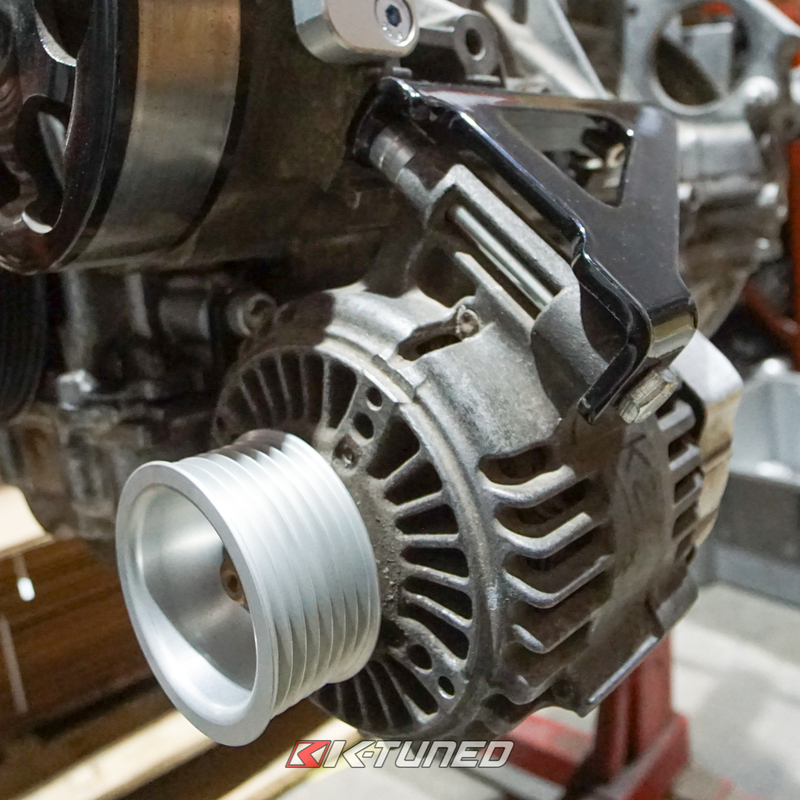 This part is particularly useful for EF K-swaps because it offers some much needed headlight clearance. 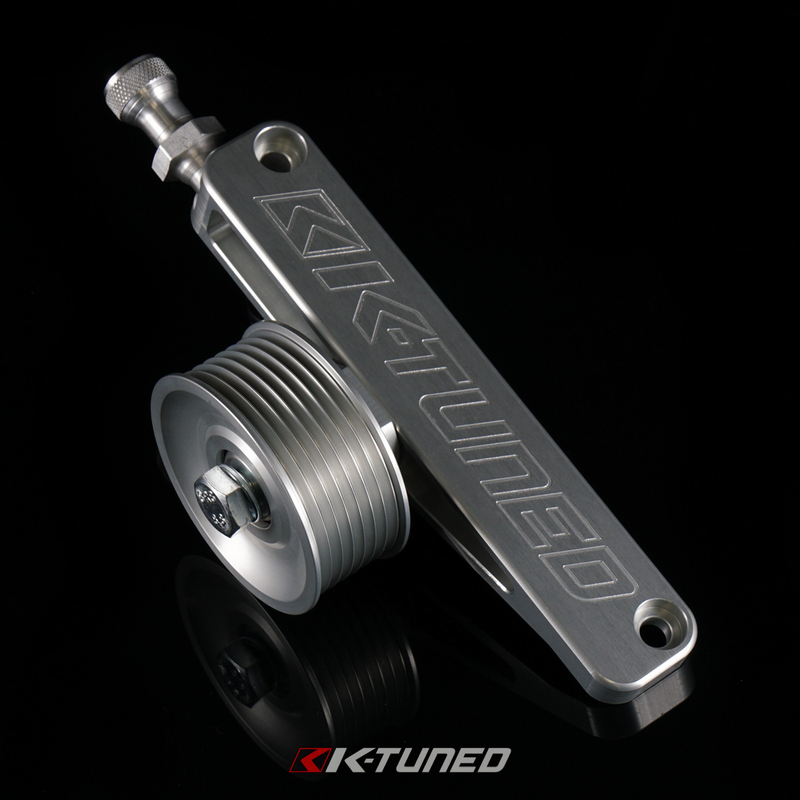 If you want, you can even cut off the mounting tab that was used for the original tensioner. 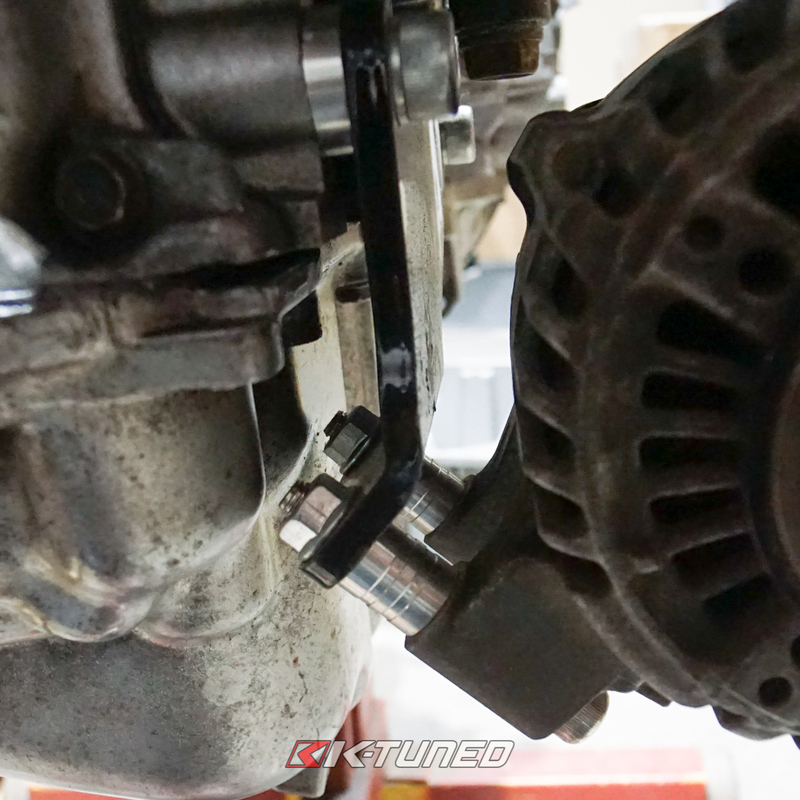 Doing this, allows ITBÍs and custom intake manifolds to be fitted very easily. This kit deletes both A/C and P/S. 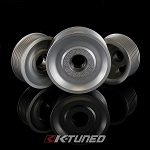 There is NO way to keep them with this pulley kit. 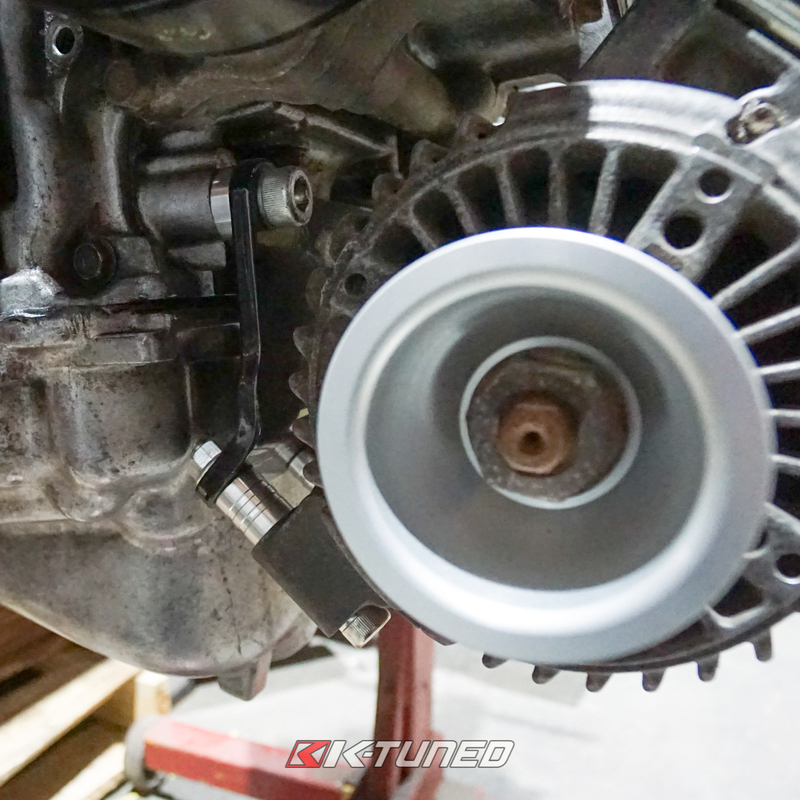 **If you wish to keep A/C you can use the Adustable EP3 Pulley Kit, and purchase a belt on your own. 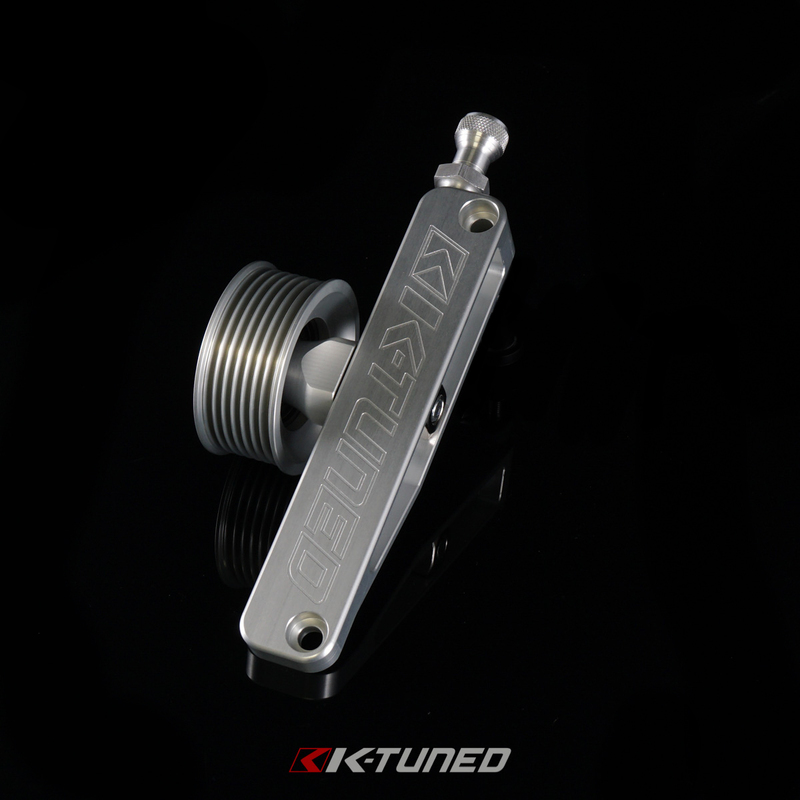 Copyright © K-Tuned. All Rights Reserved.